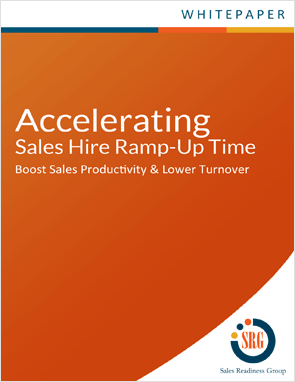 The ramp-up time for new sales reps is typically six months or longer, and on average sales reps stay in their position for less than two years. A comprehensive on-boarding program can shorten this ramp-up period, ensure sales success, and reduce turnover. This white paper discusses steps you should take to accelerate rep productivity.